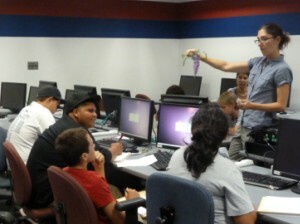 We are proud to introduce the fourth annual Integration of Science and Computing Summer Camp which took place in the Computer Science Department at the University of Arizona. 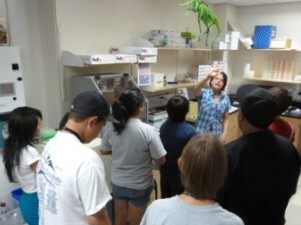 A group of six middle school students from the Wildcat school participated in the June 6 - 10, 2011 camp. For information regarding the previous years' ISC camps, follow the links: 2010, 2009, 2008. 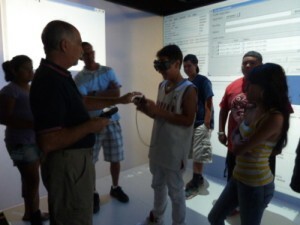 The camp relied heavily on collaboration with a number of groups at the University of Arizona. 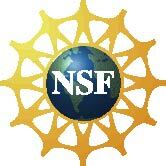 The camp was lead by the Computer Vision PHD student, Yekaterina Kharitonova, and executed by an excellent team of mentors from the Computer Vision Group - Emily Hartley, Luca Del Pero, Gabriel Wilson, and a new staff member, Vanessa Moralez. During the camp, Postdoctoral Research Associate Matina Donaldson-Matasci discussed plant structure and adaptation to their environment. Computer Science PHD student, Ernesto Brau, discussed computational modeling with the campers. Kyle Simek, another Computer Science PHD student, provided a hands on probability tutorial.